What are you like? Would you describe yourself as a hen or a chick? People thought of Jesus as a teacher, friend and healer. Jesus pictured himself in lots of different ways - as a shepherd, as a door and as bread. He even pictured himself like a mother hen keeping her chicks safe under her wings. It's good to know Jesus is looking out for us. There are more chickens than any other kind of bird in the world! Chickens can fly - but not very far. Hens lead chicks to food but they don't feed them. They like to flock together with their friends and family. The Romans wrote about looking after chickens. Hens talk to their chicks before they hatch. The largest chicken egg weighed a whopping 340g. Some hens lay green or blue coloured eggs. Chickens have a good memory for faces! What will you do on Mothering Sunday? Every family has their own way of celebrating it. Did you know that Mothering Sunday was a holiday given to servants so they could make a pilgrimage to their mother church - a large main church or cathedral. From Victorian times it became more of a family celebration when servants visited their families particularly their mothers. 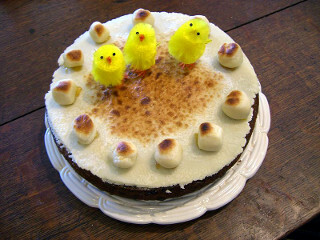 Children picked spring flowers and a Simnel cake made with fine flour was given as a gift. Will you be giving a cake on Mothering Sunday? It already had the drumsticks! Do you know anyone who keeps chickens or who has a chicken for a pet? 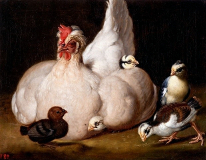 National Poultry Day on 19th March celebrates not just chickens but turkeys and ducks and geese and quails - all bird raised for either eggs or meat. In the USA poultry days began in the early 1900's as a countryside farming show with competitions and food. Even cooking giant omelettes! Try out an egg recipe or make a picture of a chicken and give thanks for chickens! 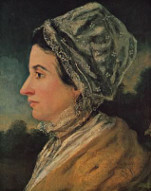 This year the Methodist church celebrates 350 years since the birth of Susanna Wesley. She was mother of John and Charles Wesley who founded the church. Although Susanna had a large family, she taught all her children at home and made sure she spent an hour with each child every week. Besides looking after household chores and the children, her daily routine included prayers and time listening and thinking about God. Her advice to John helped shape the kind of church we know today. Which path leads the chick back to the hen? 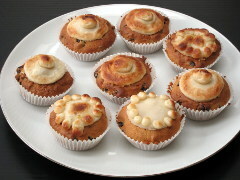 Simnel Cakes have been made since medieval times when it was more like a pudding baked in pastry than a cake. 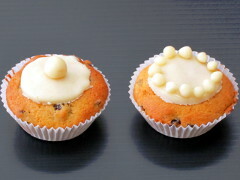 Today it's a light fruit cake with a layer of marzipan in the middle and topped with toasted marzipan. It's traditionally decorated with twelve balls representing the disciples - or maybe eleven disciples (excluding Judas) and Jesus. 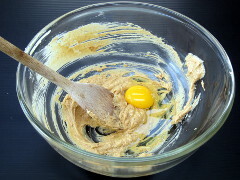 Mix together the sugar and margarine, beating with the wooden spoon. Tip: add a little flour as the egg is added. 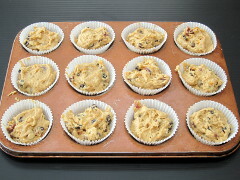 Sieve into the mixture together with the dried fruit and orange peel. 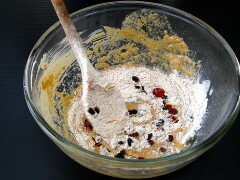 Stir gently until everything is mixed together. 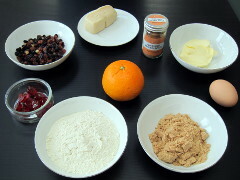 Roll some of the marzipan into 12 small marble sized balls. 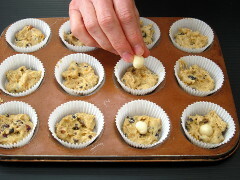 Half fill each case before adding a marzipan ball. Cook for 15-20 minutes at 180°C until golden and spongey. Tip: Ask an adult for help with the oven. 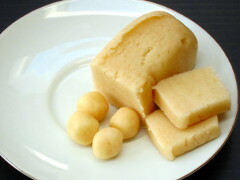 Roll a small thin circle of marzipan for each cake. 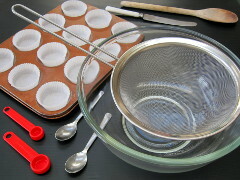 When cake is cool, add a dab of jam and cover each cake with a circle. Roll 12 pea sized marzipan balls or one single larger ball to decorate the top. Toast under a hot grill. Path c leads the chick back to the mother hen. We would like to hear from you if you change your email address, have any ideas for take 5, or would like a copy sent to a friend. God Bless from the take 5 team. This take 5 comes to you from Teddington Methodist Circuit.